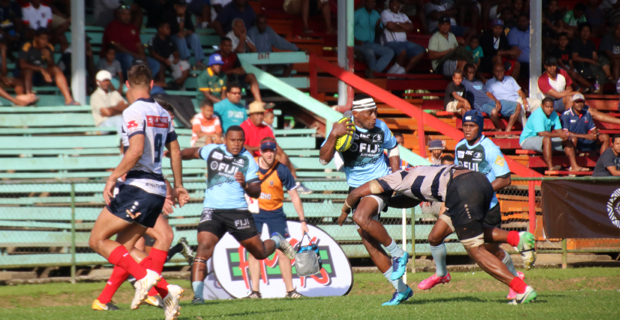 The Fiji Airways Drua back-line will continue to review their game structure from last weekend as they work on areas that needs improving ahead of their game against Brisbane City this Saturday. Fiji Drua assistant coach Saiasi Fuli told LegendFM Sports that this weekend’s match is a another big challenge for them as Brisbane City has around 60 to 70 percent Super Rugby Players. Fuli says that they will also review Brisbane City’s game from last week to try and put plans on areas that they can overcome. Meanwhile, Fuli has also confirmed that some shadow players are also training with the Drua. The Drua lead the NRC points table with 5 points after the first round and will play Brisbane City at 3pm this Saturday at Churchill Park. You can catch the live commentary of the match on our sister station Viti FM on 92.2 FM.